Ahmad Sadri received his BA and MA degrees in Sociology from the University of Tehran and his PhD in the same field from the New School for Social Research in New York City. He is the author of “Max Weber’s Sociology of Intellectuals” (Oxford University Press, 1992) that was chosen as Academic Book of the Year by Choice Magazine of the American Library Association. As a public intellectual Sadri has written more than one hundred and forty articles including regular editorial columns for Daily Star of Lebanon and Etemad-e Melli of Iran. He has written two books in Persian: “Reviving the Concept of Civilization,” and “An Apocalypse soon.” Sadri’s English translations include “Saddam City” (from Arabic) and “Reason, Freedom and Democracy in Islam” (from Persian.) His most recent work is an abridged translation of the “Epic of the Persian Kings” Shahnameh published in 2005 that has received enthusiastic reviews from Atlantic monthly, Wall Street Journal, CNN online, NPR’s All Things Considered, Guardian, the Federalist and Roll Call. 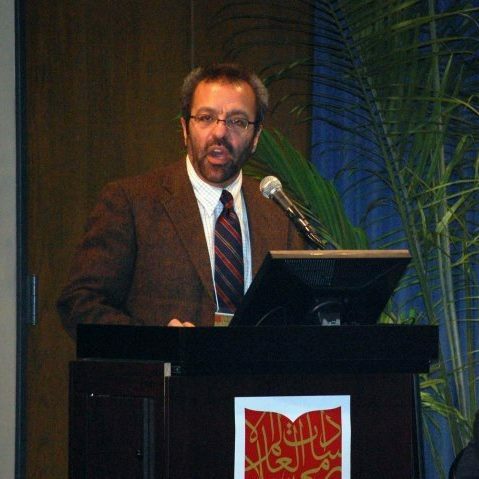 Ahmad Sadri has been a regular contributor on television and radio shows at BBC, CBC, NPR, VOA and WGN. Ph.D. with honors, Sociology, Dissertation title: The Sociology of Intellectuals: Max Weber. M.A., Sociology, Thesis title: The Political Elite in the Qajar Period. B.A., Sociology, Thesis title: Movie Advertisements as an Indicator of Changing Social Values in Iran: 1953- 1973. 1999 Bird Award at Lake Forest College. 1994 William L. Dunn Award, Lake Forest College. 1993 United Nations Development Program award of teaching under the auspices of Transfer of Knowledge Through Expatriate Nationals (TOKTEN Phase II) Plan for five weeks in Iran. 2007 Front and Center with John Calloway. 2005 Worldview, WBEZ, NPR Champaign, NPR. Max Weber’s Sociology of Intellectuals: New York: Oxford University Press, 1992. 3. Books – translated from Arabic:Soldiers of the Sky, By Mahmoud Saeed. Published in Freedom Volume of Short Stories published by Amnesty International. Mainstream Publishers, 2009. 4. Saddam City. London, Saqi Books, 2004. 3. The Necessity of Reviving The Concept of Civilization in Social Sciences, Tehran: Hermes and Center for the Dialogue of Civilizations, 2001. 1. Abdolkarim Soroush, Oxford Encyclopedia of Islam and Politics, Oxford University Press, 2014, coauthor: Mahmoud Sadri. 2. Mohmmad Khatami, the Accidental President, Oxford handbook of Islam and Politics, Ed: John Esposito, Oxford University Press, 2013. Coauthor: Mahmoud Sadri. 3. Legal Opinion as Political Action: The Significance of Ayatollah Montazeri’s Postelection Fatwa in Delegitimizing the Islamic Republic of Iran, co-author, Mahmoud Sadri, in Media, Power and Politics in the Digital Age: the 2009 Presidential Election Uprising in Iran, edited by Yahyam R. Kamalipour, Rowman & Littlefield Publishers, New York, 2010. 4. Delegitimizing the Islamic Republic of Iran with a Fatwa: the Significance of Ayatollah Montazeri’s Post-Election Legal Ruling of July 2009. Co-author, Mahmoud Sadri, The People Reloaded: The Green Movement and the Struggle for Iran’s Future. Coauthor: Mahmoud Sadri, Editors: Nader Hashemi and Danny Postel. Melvilhouse, New York, 2010. 5. Weber and the Straussian Charge of Relativism, in: Max Weber Matters: Interweaving Past and Present, Ed: David Chalcraft et al. Ashgate Publishers, 2008. 6. Three Faces of Dissent: Cognitive, Expressive and Traditional Discourses in Contemporary Iran in: Iran in 21stCentury: Politics, Economics and Culture, Ed. Homa Katuzian and Hossein Shahidi, Rutledge, October 2007, Co-author: Mahmoud Sadri. This entry was posted in احمد صدری and tagged Biography of Ahmad Sadri on August 4, 2015 by kanooniranian.